Oxford, UK and Boston, MA: May 1, 2018: Active digital preservation specialist Preservica has announced a suite of new GDPR compliance enhancements, to further simplify how organizations meet their controller obligations for personal data that needs to be retained over the long-term. The capabilities build on existing GDPR functionality in Preservica to provide new levels of classification, search, and reporting – making it easier for organizations to know their data as well as comply with GDPR requirements such as the ‘right to be forgotten’ (Article 17) while still meeting their ‘responsibility to remember’ for digital information that must be retained for decades for regulatory, HR or legal needs. Preservica’s active digital preservation customers who manage long-term personal data such as HR records, student information, details of citizens or institutional donors, will find it easy to identify and manage the personal data they are holding. They can also be confident of minimizing unauthorized access with new state of the art security. Classification: Pre-defined metadata elements describe the inclusion of personal data, types of personal data (Article 4), special categories (Article 9), restrictions, details of consent and other elements within a record. Bulk-metadata editing and optional defined syntax lists enable authorized users to quickly make single or multiple changes at any time. Reporting: Dashboard or on-demand reports show the types of pre-classified personal data held within Preservica, further addressing records of processing requirements (Article 30). Security: Security of processing is enhanced with the addition of two-factor authentication to prevent unauthorized disclosure or access to personal data (Article 32). 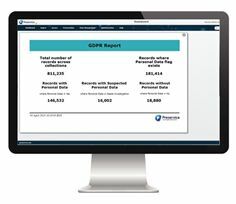 These new enhancements build on Preservica’s existing GDPR capabilities including advanced search, metadata management, secure deletion and audit histories that enable customers to confidently meet their long-term compliance obligations, and that specifically address the requirements of security, reporting and responding to data subject requests. In addition, the recently launched Preservica active digital preservation SaaS portfolio includes encryption at rest and high-levels of privacy and security operated to IS0 27001 and ISO 9001 standards. Mike Quinn, CEO of Preservica said “Given the complexity of meeting GDPR obligations, we are really pleased to be delivering new capabilities which will make it as simple as possible for customers using Preservica to protect the rights of their data subjects. In particular, it will enable organizations to strike the right balance between the “responsibility to remember” for personal data that needs to be retained over the long-term, and the data subjects’ “right to be forgotten”. Preservica will be presenting on the need to meet long-term GDPR obligations at major information governance conferences in May. To learn more or to book time to meet with the team at these events click on a link below. The capabilities described are already available or will be available in the next Preservica release as part of our ongoing commitment to helping organizations simplify the challenge of meeting compliance and regulatory requirements for long-term digital information. It’s a proven solution that’s trusted by a growing number of businesses, archives, libraries, museums and government organisations around the world – including the Associated Press, Texas State Library and Archives, MoMA, Yale, the World Bank, the John Lewis Partnership and HSBC – to name a few.